25 | June | 2014 | Sally Ember, Ed.D. Fascinating record of a meeting between WB Yeats and Oscar Wilde, from Yeats’ perspective. While waiting at my neurologist’s office for my second appointment (at which I was cleared to return to regular activities, unrestricted, like WRITING MY BOOKS! YIPPEE! 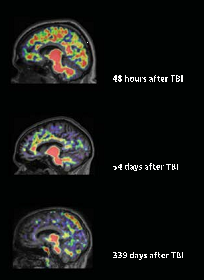 ), I read a fascinating article, “Tracking Traumatic Brain Injury: What New Biomarkers May Reveal About Concussion Over the Short and Long Term,” by Gina Shaw, about the latest and greatest advances in Traumatic Brain Injury (#TBI). Having suffered a “mild-to-moderate” #concussion myself on April 6, I have a keen interest in all of these topics. 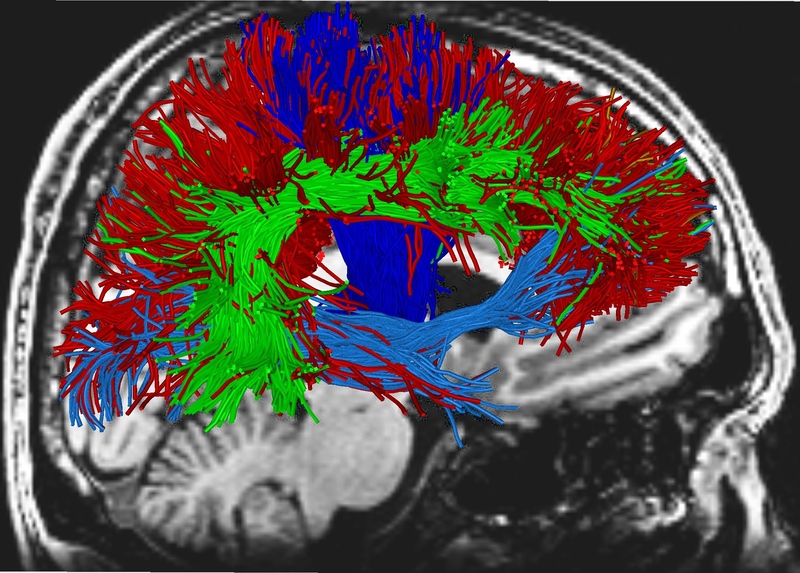 The image I found, below, is generated by one of the latest diagnostic tools, Diffuse Tensor Imaging, or DTI (see #6, below). 5. 2013 research shows that the same plaque (made of amyloid, a brain protein) that is distributed widely in the brains of and that causes dementia in Alzheimer’s Disease (AD) is found at the site of a TBI, even a mild one. Some researchers are using the anti-amyloid drugs given to AD patients on TBI injuries to avoid or lessen the likelihood of later dementia. 6. 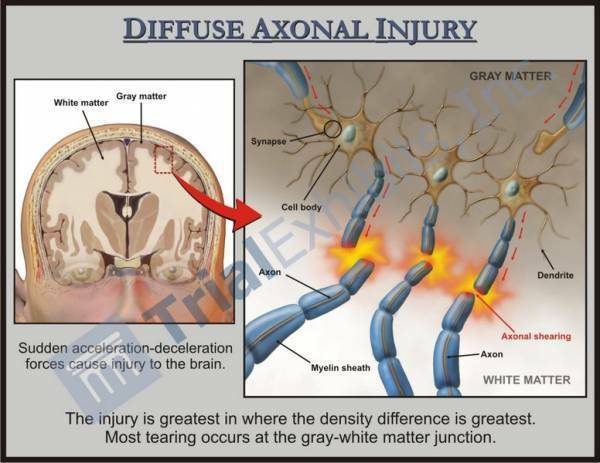 There is a new type of MRI called Diffusion Tensor Imaging (DTI) that is promising for seeing the neurological damage caused by TBIs in ways no other diagnostics are currently able to do. This will also aid in detecting where an injured person is in their recovery. The article describes many other “in the field” (literally, athletic fields, for one) diagnostic tools about to become widely available to determine the extent or presence of a TBI in someone who was knocked on the head.